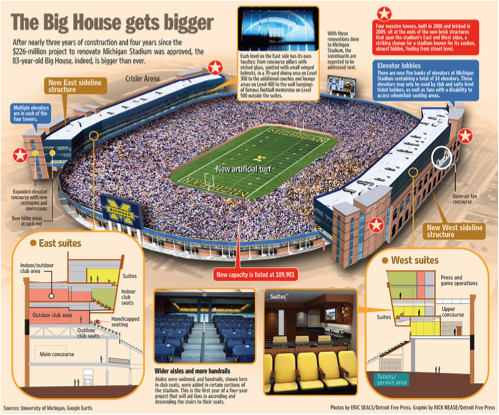 Renovating and expanding a legendary facility like “The Big House” at the University of Michigan might seem daunting to some, but Motor City Electric Co. and its Ann Arbor-based subsidiary, Huron Valley Electric, were excited and proud to be selected to perform the electrical services for this major undertaking. 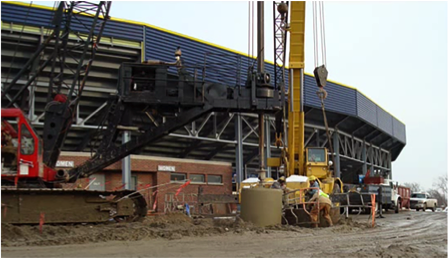 Project management, engineering, and field supervision staff from both MCE and Huron Valley Electric coordinated with Barton Malow ensured construction and renovation proceeded smoothly, according to schedule. 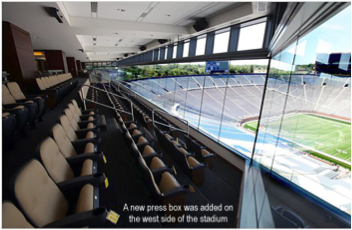 The project added 400,000 square feet with two multi-level masonry structures on either side of the stadium, 83 luxury boxes, and 3,200 club seats. Upgrades include new electrical systems, generators, lighting, and fire alarm system as well as upgrades to the restrooms and concession stands. A new press box was added on the west side of the stadium. With the added seating, the stadium once again lives up to its “Big House” moniker with a seating capacity of 109,901, the largest in either college or professional football in the U.S. and second largest in the world. In addition, the new permanent lighting makes night games a reality. All construction work took place Monday through Thursday so that games could be played on Saturdays as usual. During the two-year construction, every game sold out just as they have for roughly 20 years meaning that more than one million Wolverine fans came through without a single safety incident. Yet every Monday morning work crews were back on-site at 6 a.m.
Project management, engineering, and field supervision staff from both Motor City Electric Co. and Huron Valley Electric coordinated with Barton Malow and the other trades to ensure that the construction and renovation proceeded smoothly and according to schedule. Nothing came between Wolverines and their diehard fans when Michigan Stadium was officially rededicated on September 4, 2010.